Sadly, it is not done, even though it looks it! 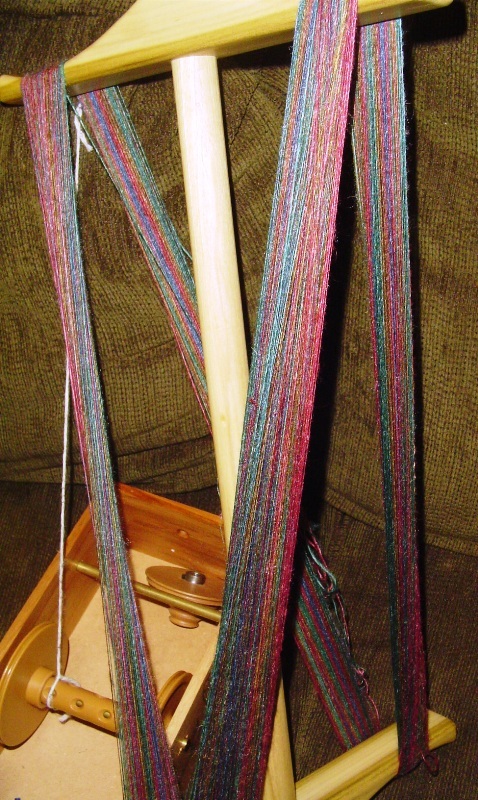 I started this on a drop spindle, which accounts for one end of it being a bit slubby. 85 yards of merino sliver. It will probably become socks for the bug. 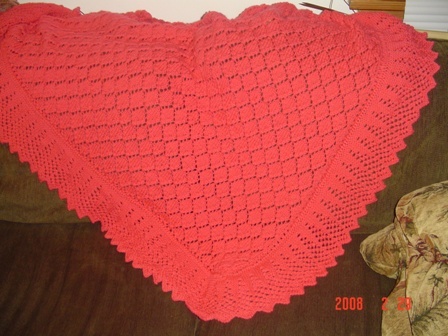 I didn’t particularly like the color while I was spinning it, but it has turned out to be a very nice subtle color. 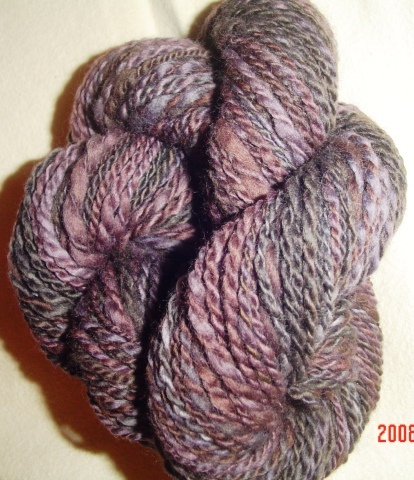 Will the color the resulting yarn becomes ever stop surprising me? Or is that just half the fun? Bug wanted to show you how she made the loops all into happy and sad faces. So, my cousin John asked my grandmother for a hat. That was 4 yrs ago. 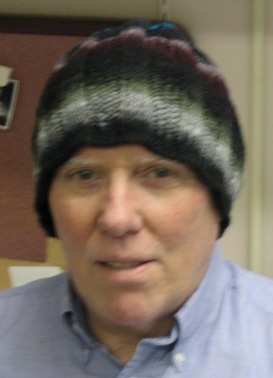 He hasn’t gotten the hat, my grandmothers hands hurt when she knits. So when I saw him at the wedding, he asked me to make him a hat. I thought that would be a fun and easy project and today I finished. 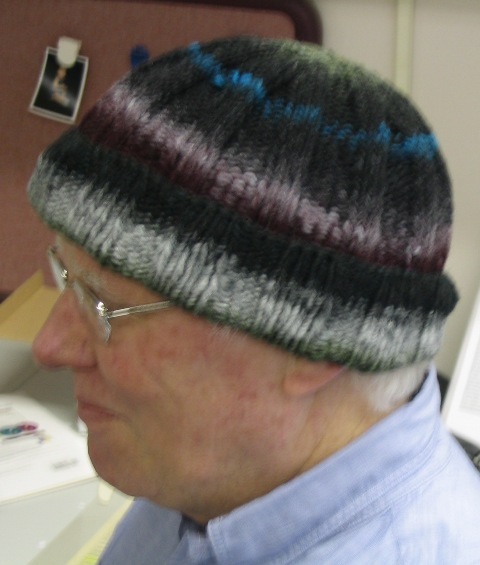 I used Noro Kureyon, and I just love the way it turned out. I had one of my faculty model it for me. Now he wants one too. Is this how you ask? Is this how you ask? No “please” or “Thank you?” How about “if anyone has seen it I’d be grateful if you could let me know.” If I had found it I would be scared she was going to accuse me of something! I have perfected my hummus recipe. And J tells me that it is completely authentic. I started with a recipe that my Aunt made a couple years back when I visited. I have been tweaking it since then, and have finally hit the mark. I use a food processor, I put all the ingredients in and turn it on. 1 can chick peas, drain but reserve about 1/4 cup of the liquid. Turn on the food processor. This is when you can add the reserved liquid from the chick pea can, to gain the proper smooth consistency. Serve with a splash of cold pressed olive oil and use whole wheat pita or whole wheat tortillas to dip. You will never again buy hummus from the store…..